First of all thank you for your interest in learning a little bit more about me. I am an Arizona real estate agent and I am able to help you with any type of Arizona real estate related questions or concerns. Hopefully you will give me a chance to earn your confidence and represent you with the purchase or sale of your next home. Office Hours: 7 days a week - 8am till 5pm (This fluctuates depending on work load and I do take some days off). I was born in Phoenix and I have spent most of my life here. My family has always been in the construction industry and there was a few years when I was a child that we moved to Texas. (If you happen to have a Texas accent don't be surprised if my ya'lls and fixin's with a little drawl pop out once in awhile when we talk). We obviously moved back to the Phoenix area, actually Glendale once the real estate market turned around in the late '80s. I attended Glendale high school and like most people didn't start out as an Arizona real estate agent. I started my working career selling shoes. It's not very glamorous, but looking in my closet I definitely still have a bit of a shoe problem. When my husband and I purchased our first home in 1998 we chose Peoria. It was a nice starter home located near 91st Avenue and Deer Valley Road out at the edge of the desert. We had our eye on a new development near 75th Avenue and Deer Valley and when it opened in 2006 we purchased our second home in Peoria also. My kids go to school in Peoria, I volunteer in Peoria, I just really love the area. (I've always been a west side girl, you can buy so much more home for your money out here). After I married my wonderful husband (can you tell he edited this line?) and had my two beautiful children I was looking for a new career which would allow me to spend more time actually raising my kids instead of just picking them up from day care. 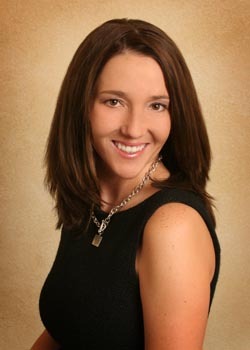 I have always loved real estate and decided to become an Arizona real estate agent. It was complete culture shock. No one tells you to go into work and no one gives you a pay check anymore. I still enjoy having a life, and I believe real estate is still a business based on relationships. The top Arizona real estate agents have teams working for them. You rarely ever get to talk to them, and maybe never see them. I do have some partners that I work with, but if you do decide to hire me you will be dealing with me directly. The only time someone else may help you is if I am out of town or sick. That is why I have partners. I have been helping people with their Peoria Arizona real estate needs since I originally became licensed in 2004. This was right before the Arizona real estate market went crazy. There was a time when I didn't feel confident that I knew what I was doing, but with any career it takes time to learn the ropes. I could talk about all my training and classroom time, but what really matters is that I am 100% confident that I am 100% capable of helping my clients with any of their real estate needs. At this point in my Arizona real estate agent career, I felt confident enough to build this website. My husband and I are building the web site ourselves because I don't feel like many Realtors are doing business the right way on the web. The real estate web gurus tell you that you have to collect email addresses and phone numbers so that you can contact your visitors. Seriously though, how many emails does one person want from Mickey Mouse and his 555-5555 phone number? I hate when sales people call my home. I'm sure you do too. We decided a typical Arizona Realtor website that requires you to provide an email address and phone number to get to the good information was not what we would want if we were researching the real estate market. So we decided against purchasing a template site from a web development company. I knew it was going to be a lot of work, but we feel that a site built around information is what visitors would want. If by chance you have any positive or negative feedback for me about the site, I would love for you to contact me directly. Seriously...it takes a lot more time than I thought to build a web site so for my own sanity it is nice to hear what people think of it. Anyway everyone is busy and I don't want to be calling you and trying to chase you down unless you really want to talk to me. That's why I don't ask for any registration information. Feel free to do as much research as you want. If the information you found here was good then please call me when you are ready to buy or sell a home so that I at least have a chance to earn your business. I started my Arizona real estate agent career with Coldwell Banker. I later moved on To RE/Max because I felt that having a big name broker behind me was important. Over the past couple years I literally polled my clients and asked if being a part of RE/Max was a reason they hired me. I found out 100% that the answer was "NO." All my clients told me they hired me because they liked me or were drawn to me because of the honesty and "realness" of this website. I have worked for a few other brokers over the years and I am currently loving my time here at AZ & Associates. The systems they use are more modern. Their constant training and strategy sessions help me to keep up with all of the best and latest technology to help you buy or sell your home. Don't worry about my affiliation with Az & Assocaites or any other brokerage for that matter. I can help you with anything that I could have done while I was at RE/Max, Coldwell Banker, or any of the other big name companies. I can do business all across the state of Arizona, and if you have been on my site for more than a couple minutes it should be obvious that I am focus on Peoria AZ real estate, but I have literally helped clients all over the Valley. If you are familiar with the area then you know that the different cities out here are all connected. Because of this I have a lot of experience with Glendale, Surprise, Scottsdale, Sun City, and Phoenix also. I could go on, but you get the point. I should throw in a little comment about my husband too. He does a lot of the grunt work, but spends a lot of time working on my website and our marketing (another husband edit). You might meet him at our open houses. Sometimes it's just nice to have a guy around. Fun Stuff. I should mention that I am a border line nut case when it comes to sports. Yes, I yell at the TV and everything. Basketball, football, and tennis are the sports I enjoy the most. I latched onto the Bears the year of the Super Bowl shuffle, and I have always been a Suns fan. I'm pretty die hard about football though. I even won a fantasy football league recently. Other than that, I would ask for you to visit the why hire us page where I try to explain some of the benefits you receive if you decide to hire me as your Arizona real estate agent. If you are looking for an up front, honest, no sugar coating, tell it like it is Arizona Real Estate Agent, contact Bobbi Herman here. Return to the page you came from.